Two key Republicans legislators — both of them doctors — say they're sticking with Gov. Rick Perry’s position that Texas will reject the Medicaid expansion provision of federal health reform. Two key Republicans legislators — both of them doctors — say they're sticking with Gov. Rick Perry’s position that Texas will reject the Medicaid expansion provision of federal health reform, despite a rising tide of Republican governors who are embracing it. 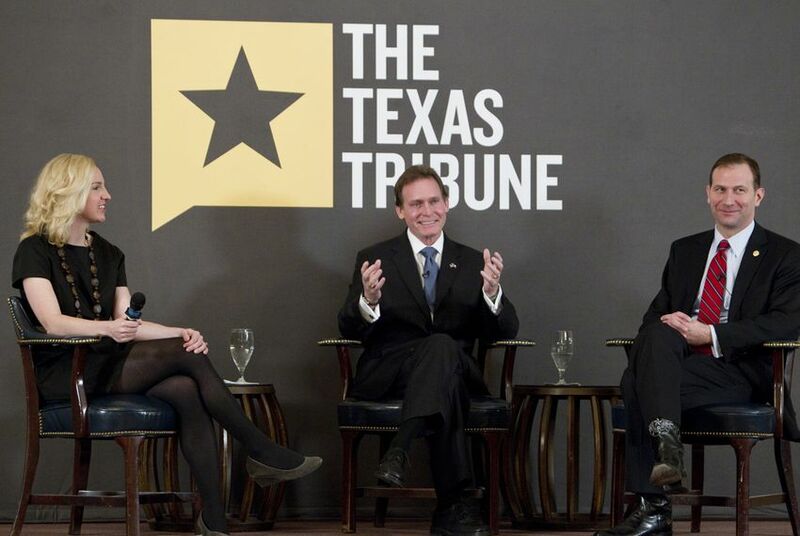 During a Texas Tribune TribLive conversation on Wednesday, Rep. John Zerwas, R-Simonton, and Sen. Charles Schwertner, R-Georgetown, both spoke against expanding Medicaid, which they called a “broken system.” But they left the door open to working with the Obama administration if it provides more flexibility to let Texas operate the program as it sees fit. Eight GOP governors have signed on to the Medicaid expansion, including the governors of New Jersey, Florida and Michigan. Overall, 24 states and the District of Columbia plan to participate. Zerwas also said that while the governor holds the keys, the Legislature could play a key role in negotiating with the federal government on the feasibility of a Medicaid expansion in Texas. Asked whether the Legislature would consider raising Medicaid reimbursement rates for Texas doctors, so as to avoid more providers leaving the safety net program, neither lawmaker would make a commitment. But they spoke of other ways to improve the state's physician base, including adding new graduate medical education slots for the state's medical students. "We are looking at increasing GME slots in the state of Texas, graduate medical education slots, residency slots, to address some of the workforce shortages," Schwertner said. "It's important to make sure that we are educating in Texas ... rather than sending them out of state, where they are more likely to stay out of state." Regarding the budget cuts in the last legislative session to family planning and women’s health care, both lawmakers said they support an initiative this session to restore funding by way of primary care programs. "We're going to recommend a funding level for [women's health] ... at about 50 percent higher than what they had originally asked for," Zerwas said.